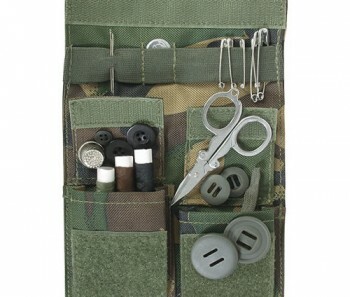 A comprehensive and competitively priced DPM Soldier’95 sewing kit. 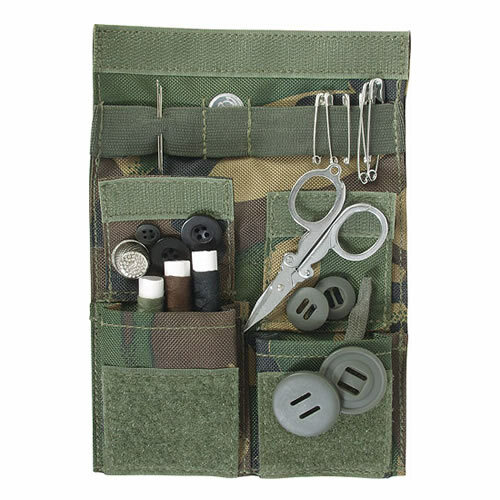 Contents of the sewing kit include a selection of Soldier’95 and standard buttons, safety pins, brown/green/black thread, scissors, needles, needle threader and thimble. Supplied in a handy Velcro-fastening DPM pouch.